With the NHL’s April 3rd trade deadline fast approaching, the Pittsburgh Penguins struck first this past weekend acquiring Brendan Morrow and Douglas Murray; two veterans hungry for their first Stanley Cup win. The other teams in the playoff picture have surely taken notice, so now it’s time to speculate which top players are on the trading block. • Iginla is this year’s Ray Bourque. Once they were out of the playoff race, the Flames began shopping their long-time captain, whose contract is set to expire this summer. Taking matters into his own hands, Jarome has made it known that he will only waive his no trade clause for the Blackhawks, Bruins, Kings, and Penguins. Rumors indicate that the Bruins are the top suitor, but Jerome will not be cheap. The Flames will be looking to acquire a top prospect, a secondary prospect, and picks in exchange for Iginla, who has scored over 30 goals for 11 straight seasons. The man is a warrior who will bring intensity and heart to whichever locker room he ends up in. 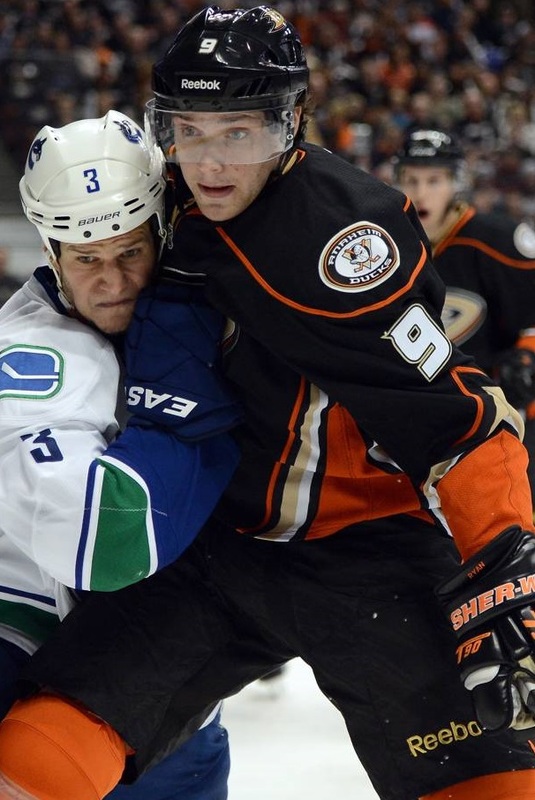 • The Ducks made it clear that Bobby Ryan is on the trading block after they signed Ryan Getzlaf and Corey Perry to expensive, long term deals this season. The 26 year old power forward’s contract is also up at the end of the season, and the Ducks definitely don’t want to lose him for free. The tricky part of this situation is that the Ducks are flying high at 2nd place in the west and will be looking for a center who can step right into the lineup plus a prospect/picks. I could see the Flyers, a team that Ryan would fit into nicely, trading a package including Sean Couturier, but it’s still an open race. I would not rule out the Red Wings offering Valtteri Filppula or the Washington Capitals offering Mike Ribeiro as the top chip of their trade packages. 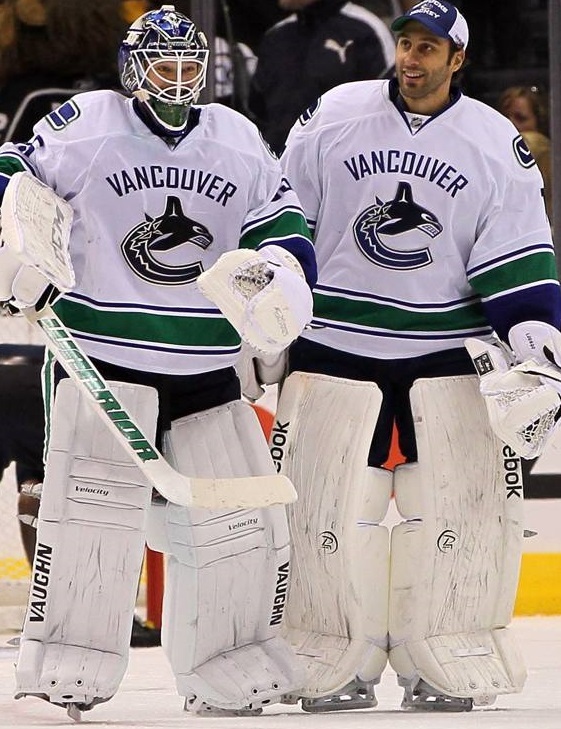 • The Canucks need to eventually deal their $5 million a year backup goaltender, but they will not be selling him for cheap, as the Toronto Maple Leafs learned this past off season. The Olympic gold winning keeper has been supplanted by the younger, more consistent Cory Schneider, but he’s still the same lovable Lou. The trade market obviously isn’t full of playoff bound teams looking for a starting goalie, but there are definitely quite a few teams who would love to turn a weakness into a strength going into next season. If the Canucks opt to trade Lou, I’d guess that it will take a top 4 defenseman, a top prospect, and picks. Eric Brewer of the Tampa Bay Lightning and Brian Campbell of the Florida Panthers could be that veteran defenseman that Vancouver is looking for. A couple other players who could be moved before next Wednesday are winger Marian Gaborik of the New York Rangers, center Derek Roy of the Dallas Stars, and defenseman Ladislav Smid of the Edmonton Oilers. When the dust clears, there will surely be some new faces in locker rooms around the NHL as teams prepare for the final playoff push.